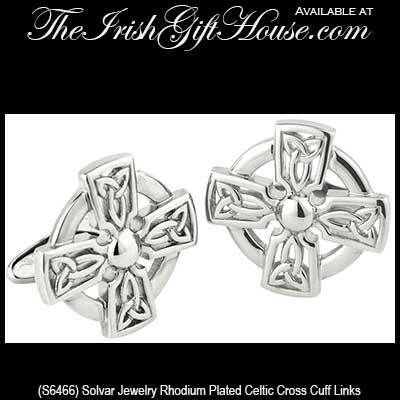 These Celtic cross cuff links, like all Irish made jewelry at The Irish Gift House, are nickel free and hypoallergenic. 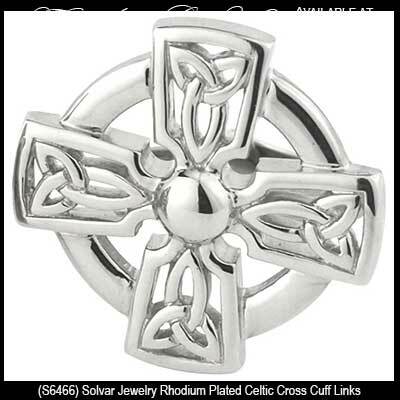 These rhodium plated Celtic cross cuff links feature filigree Trinity knots and measure 3/4" wide x 3/4" tall. The double hinged Irish cuff links are gift boxed with Celtic cross and Celtic knot history cards, compliments of The Irish Gift House.